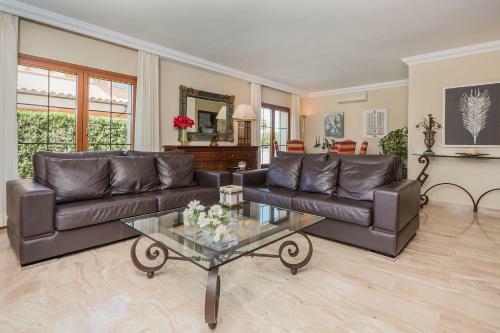 Villa Estany in Port D'alcudia is a holiday home with 1 room. 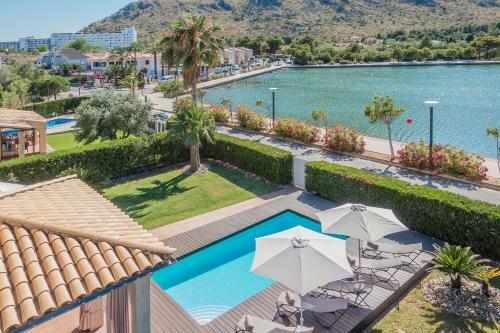 Offering a seasonal outdoor swimming pool and a garden, that is complemented with a terrace, Villa Estany is located in Port d'Alcudia, 5 km from Natural Park S'Albufera de Mallorca. Featuring mountain and lake views, this holiday home also features free WiFi. 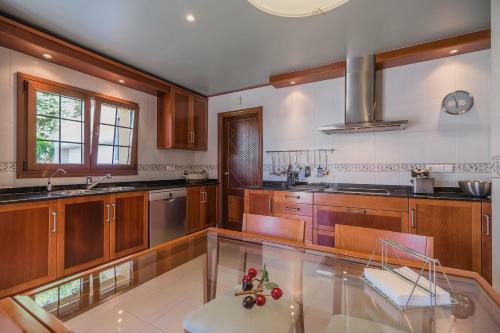 The holiday home includes 4 bedrooms, 3 bathrooms with a shower, a seating area, and a kitchen with a dishwasher. A flat-screen TV is featured. A bicycle rental service is available at Villa Estany. 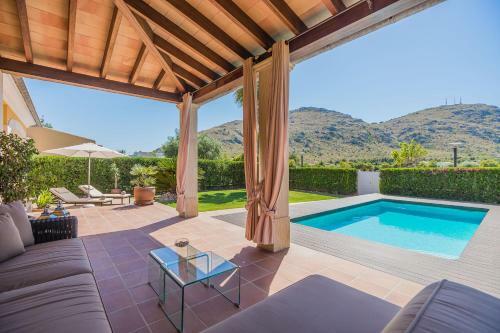 Palma de Mallorca Airport is 60 km from ...the property. 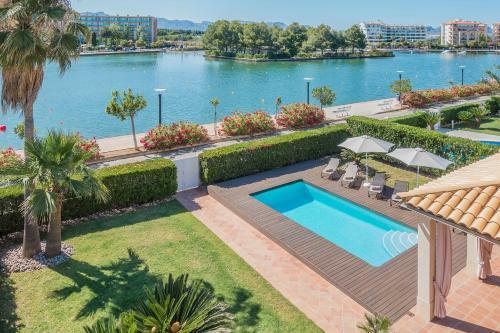 Offering a seasonal outdoor swimming pool and a garden, that is complemented with a terrace, Villa Estany is located in Port d'Alcudia, 5 km from Natu...ral Park S'Albufera de Mallorca. Featuring mountain and lake views, this holiday home also features free WiFi. 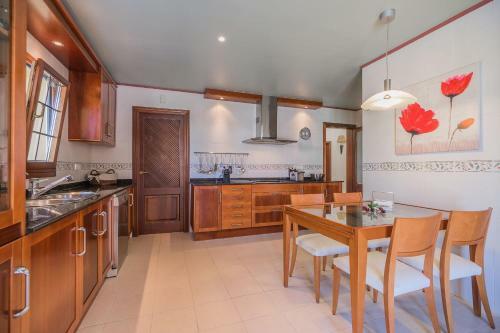 The holiday home includes 4 bedrooms, 3 bathrooms with a shower, a seating area, and a kitchen with a dishwasher. A flat-screen TV is featured. A bicycle rental service is available at Villa Estany. 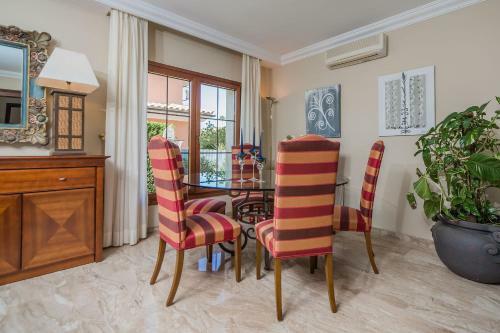 Palma de Mallorca Airport is 60 km from the property. 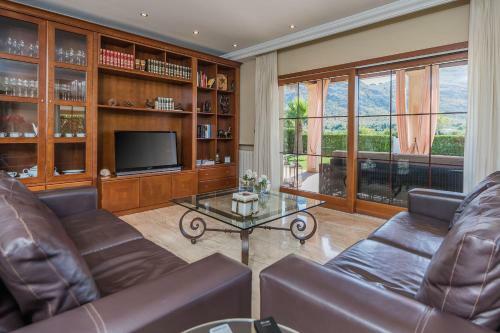 When would you like to stay at Villa Estany? This property will not accommodate hen, stag or similar parties. Please inform Villa Estany in advance of your expected arrival time. You can use the Special Requests box when booking, or contact the property directly with the contact details provided in your confirmation.